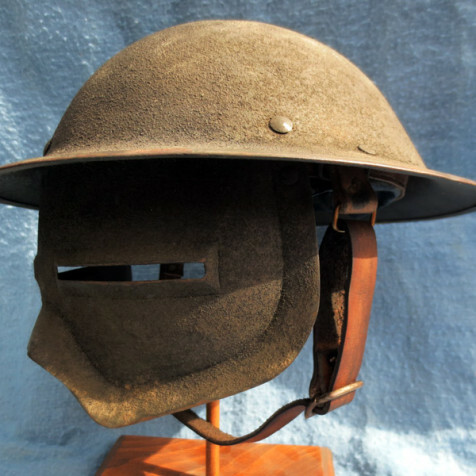 This is a reproduction of one of the U.S. WWI experimental helmets. 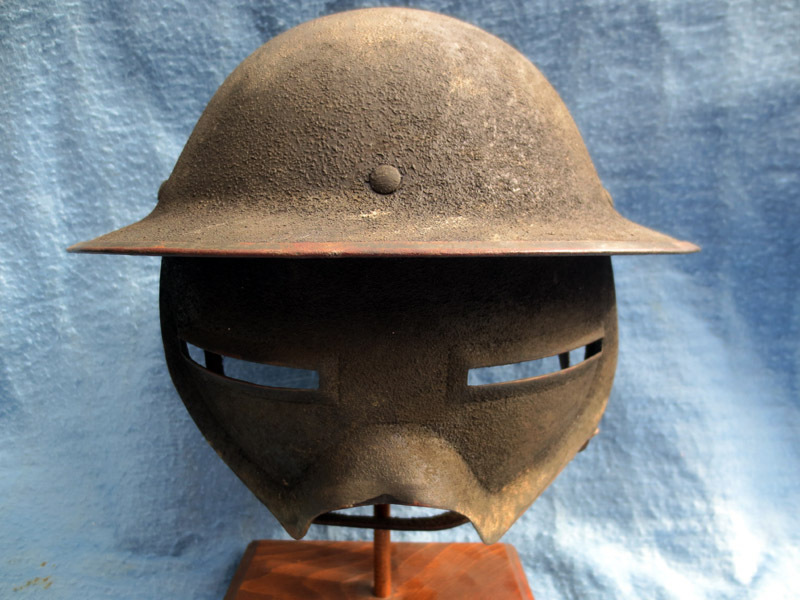 Only a hand full of these are known to exist in private collections and museums. 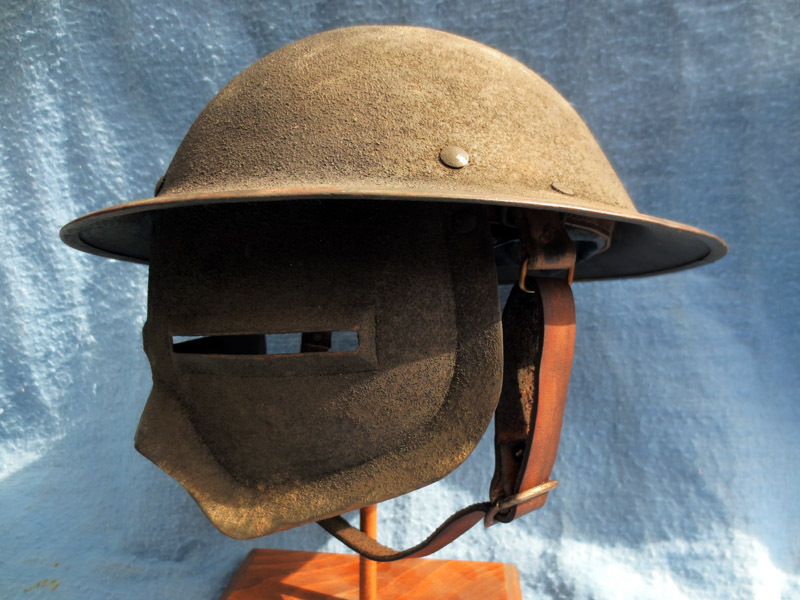 To make this one happen a reproduction face shield was riveted to a 1920s era riot helmet. 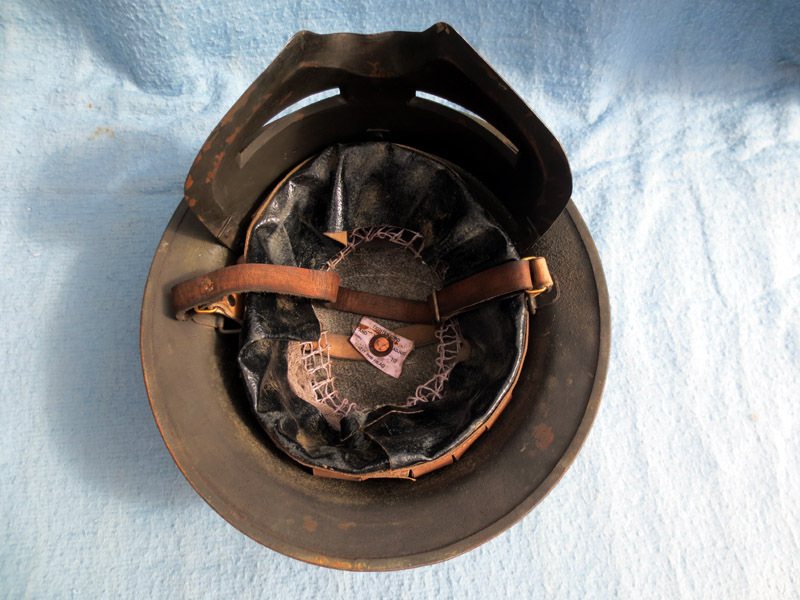 After painting and aging, this is as close to the real thing as you can get without spending thousands. 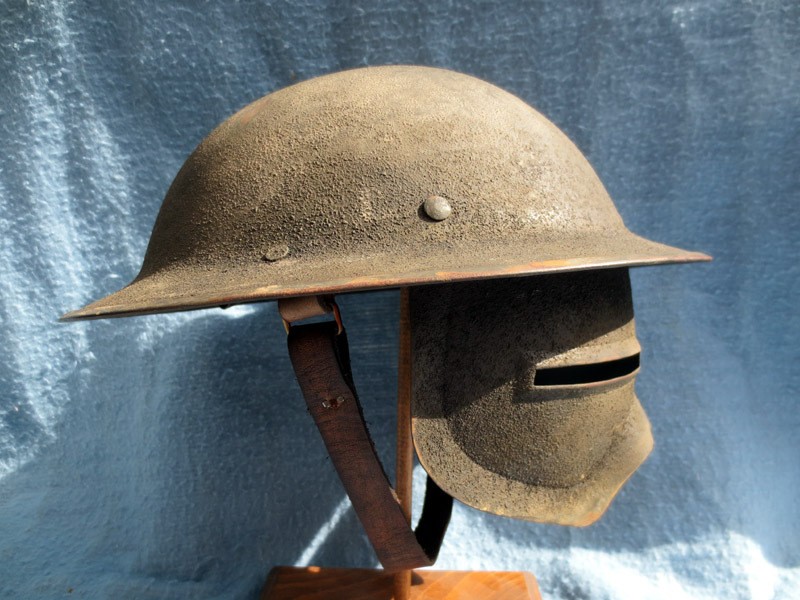 If you are someone who wants to complete your Great War helmet collection with one of these rare helmets, A&SR can make it happen.